Here at Corby Canvas we specialise in manufacturing an extensive range of canvas and PVC products, from our base in Hixon near Stafford. Founded in 1988, we have nearly thirty years experience developing and producing the highest quality products across four key sectors: industrial and commercial, exhibitions, the sports and leisure sector and for the home and garden. And our list of products are continually growing to meet our customers’ ever changing needs. 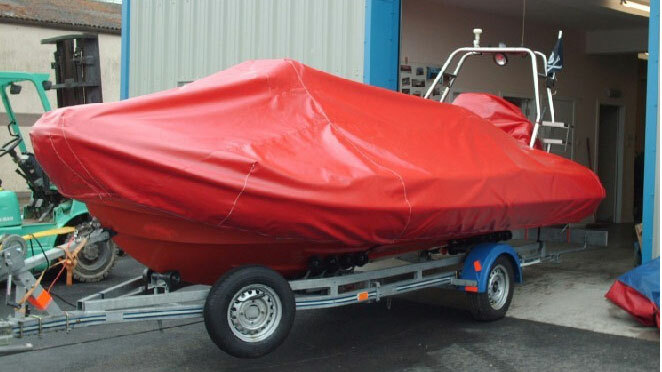 Whether you are looking for storage bags, printed banners, trailer or tarpaulin covers, show units or boat covers, our extensive catalogue of products means we can cater for every eventuality. 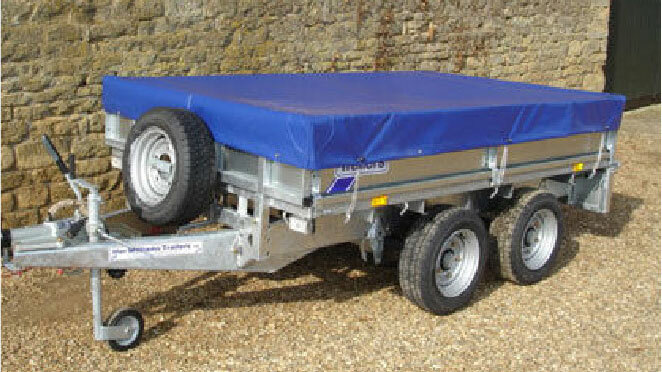 We are the leading tarpaulin cover maufacturer in the UK. We will make your cover specifically for you, to your measurements to suit your purpose. "After many hours searching the internet I came across Corby Canvas. I contacted them to fabricate me a skirt for my catering trailer, Lynsie was straight on the case sending me colour charts and mounting detail. I received the finished product inside a week and WOW I was blown away with the workmanship and eye for detail, so much so we are having a bespoke awning made to extend the length of our unit without increasing the towed weight." "I have used Corby Canvas to both repair an old, well-loved and used, hammock and to create a new replica of the existing hammock using modern canvas fabric. Lynsie-Ann Hulme gave me excellent advice, sent me samples of various fabrics available, discussed options on the phone and then actually produced everything I was looking for in a very short time. I was most impressed and will have no hesitation in using them again or recommending their services to other customers requiring similar bespoke services." "Superb service from everyone within the company. My canopy is perfect. Exactly the right size and exactly what I asked for. Lots of options given. 100% recommend." "Great service from everyone at Corby Canvas. Efficient and reliable." "We've been using Corby Canvas for a number of years now mainly for our blank banner requirements and for finishing our banner prints. Their service has always been extremely satisfactory in terms of quality, lead times and value, enabling us to provide an equally good service to our own customers." 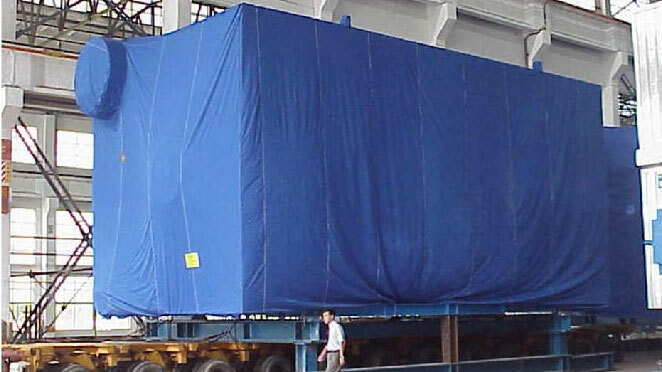 "Many years ago, Corby Canvas prototyped and then manufactured double pallet covers for a factory that I managed. Their product quality and speed of service ensured a successful implementation of the project. As a an active Overlander I use Corby Canvas to repair my tents and manufacture bespoke covers for equipment stored on the roof rack- Always a pleasure to deal with." "Finding a way to stop the spread of woodchip yet minimising the added weight off my already heavy work vehicle, Corby canvas managed to succeed in both and design a tailor-made canvas which is hard wearing and versatile yet still looking professional." "I would happily recommend Corby Canvas to all my friends. I needed some large clear blinds which weren’t the easiest to design. Lynsie-Ann and her team never flinched until the job was done to perfection. If only all companies were so conscientious!" "I first approached Corby Canvas Products when I needed some stalls produced for our school fair. After working with Corby Canvas I would not think about approaching any other company - their dedication, workmanship and value for money are second-to-none." "I have been dealing with Corby Canvas for a number of years. The service is first class. They have manufactured various covers to protect critical fibreglass components that otherwise could potentially be damaged due to site travel. I cannot praise the team enough. I have no hesitation recommending Corby Canvas if your requirement is simple or complicated they will produce a quality job, and always with a smile."